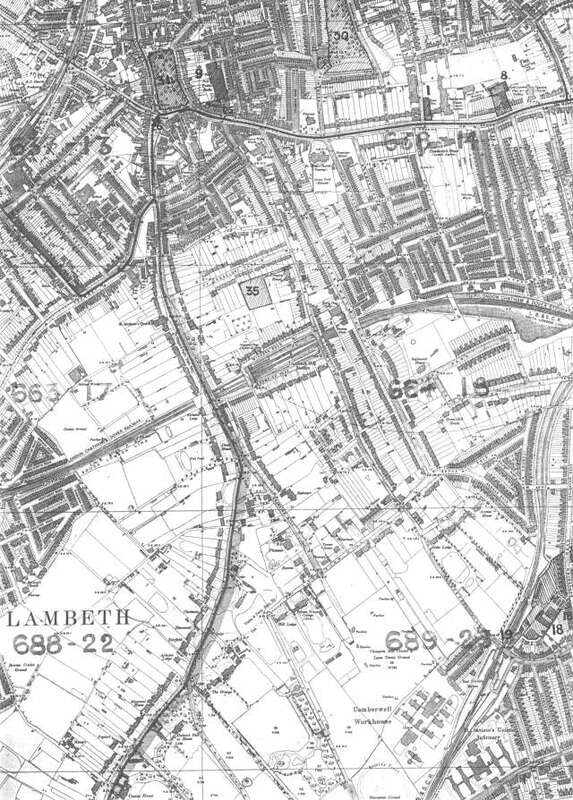 This map shows many aspects of urban and suburban development along Camberwell Grove and Grove Lane and, on a bigger scale, the huge detached houses on Denmark Hill and Champion Hill. On the eastern fringe terraces can be seen over-spilling from Peckham and East Dulwich. Much of the southern portion is free from development due to the Dulwich Estate's reluctance to allow building. 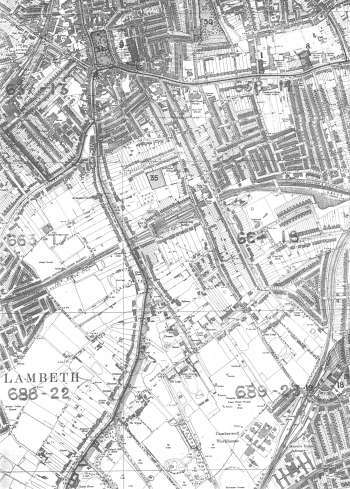 Stanford Ordnance Survey Map, 1894.